Cages ALUM for the orders - Trolleys on dog show. 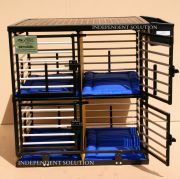 Cages for animals - ALUM with a grooming table - Producer: Company Independent Solution Roman Orłowski from 2012y. We make aluminium / metal cages of any size and with different numbers of rooms on customer's order. 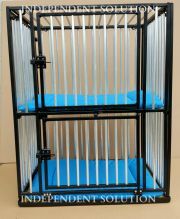 We make custom made aluminum / metal cages in various sizes and shapes. 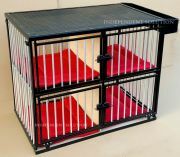 Cages without grooming table. We invite you! - Producer: Company Independent Solution Roman Orłowski from 2012y.